For the last two days of the kcwc, I've spent my time (and then some - ahem!) working on the Oliver + S Ice Cream dress for Indigo. 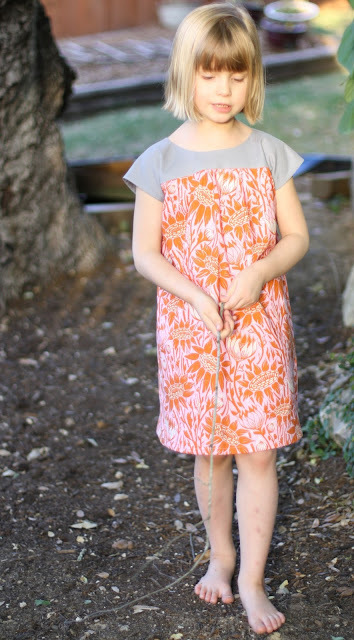 I made two of these dresses a couple of years ago for my girls. It's always nice to return to a familiar pattern, because the sewing becomes almost meditative. Inspired by this dress, I decided to keep my version super simple this time. I left off the pockets, notches and even the contrasting band - lengthening the body of the dress instead. Sometimes the simplest things in life are the very best, aren't they? 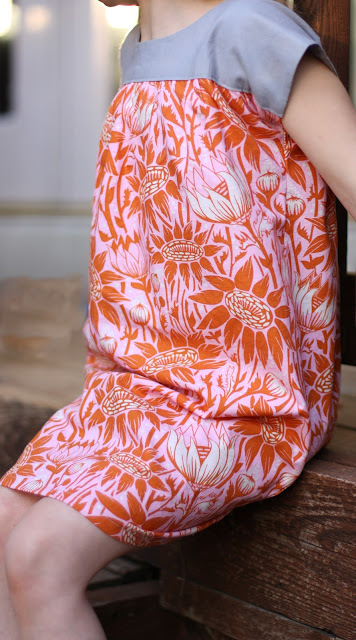 The fabric is Coreopsis Sugar from Anna Maria Horner's Loulouthi line (yes, again!). I paired it with some grey kona cotton. 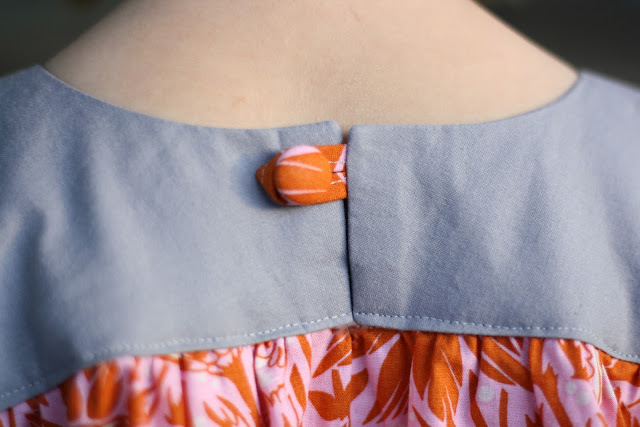 A fabric covered button seemed just right for the closure. I have a feeling I'll be making this dress again... maybe times three. Thanks for linking up! You're fast!! I linked to your blog on my Facebook page. Love your family's story. I look forward to coming back again! The dress is beautiful! 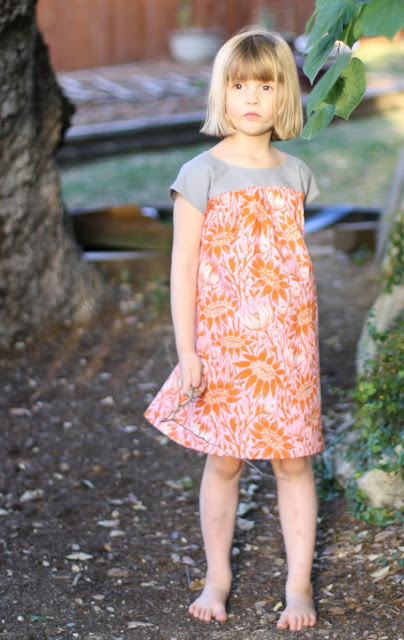 I love teh use of just two fabrics here. So simple. Like something you'd expect to see in the Pacific Islands (perhaps in a Gaugin painting!). it's really lovely! i like how you left off the bottom band. simple is the way to go! This is so cute! I love the fabric you used! OH! just clicked over from probably actually - this is beautiful! i love that you left off the band, too. i'll do that next time (just made view B today in shot cotton, also inspired by gail).